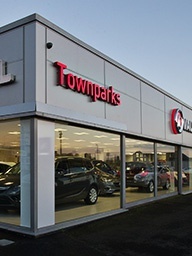 You can find the Vauxhall car you’ve been after for cheaper, thanks to the great offers waiting for you at Townparks Car Sales in Northern Ireland. Purchasing and driving a Vauxhall has never been easier. As we are an authorized dealership, many of the Vauxhall offers that we have are exclusive to us. Our offers are available regardless of what you are looking for, be it a new or approved used car. You will also find at Townparks Car Sales offers on servicing and maintenance, as well as Motability offers. We recommend checking our website frequently to stay update with our frequent offers. Browse now and discover the opportunities that can help get you inside a new or used Vauxhall as soon as possible as well as lower maintenance costs. You can then contact us online or by phone in order to arrange a test drive or to enquire further.